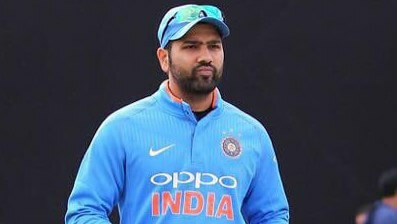 Wellington: After his side was hammered by 80 runs in the first T20I of the three-match rubber against New Zealand, a disappointed stand-in India skipper Rohit Sharma felt the lack of partnerships hurt his side’s chances during the run chase. After an impressive show in the recently concluded ODI series against the Kiwis, the men in blue failed to click both with the bat and the ball on Wednesday as they were bundled out for 139 runs, thanks to an all-round effort by the hosts. “But we kept losing wickets and that threw us off. We have chased such targets in the past and that is why we played with eight batsmen, but we didn’t have small partnerships and that made it tough while chasing such a big target,” he added. “As a team, we have been good at chasing down targets which is why we play with eight batsmen. We believe that whatever the target is in front of us we can chase it down, but we just couldn’t do it tonight,” expressed the stand-in India skipper. Meanwhile, Kiwi skipper Kane Williamson acknowledged his team’s overall performance beside praising Tim Seifert, whose 43-ball 84 runs made all the difference on Wednesday. “Daryll Mitchell bowled really well. We had the runs on the board, but the bowling and fielding too was of high standard,” he added.